Hey there fashion ladies! I've got an awesome compilation for you tonight! We are going to observe amazing outfits to wear all this summer long. Show off your personality by wearing one of the looks shown below. I am pretty sure you gonna show off your individuality by wearing one of these looks. The great thing about summer is the experimentation with clothes what allows you to try numerous of clothing combinations. I mean, you can look differently by wearing grunge apparel, glamour looks, 1970's inspired outfits, smart-casual separates, formal essentials and cocktail frocks. Get ready to rock this summer! I've looked through so many amazing street style images and today I want you to have a look at some of the best street style images inspiration. Many of you would love to try on denim shorts what can be paired with absolutely any kind of top, starting from striped T-shirt to silky blouses and flowy semi-sheer button-downs. The shirt plus denim shorts can be topped with nice leather jacket for chilly summer nights. 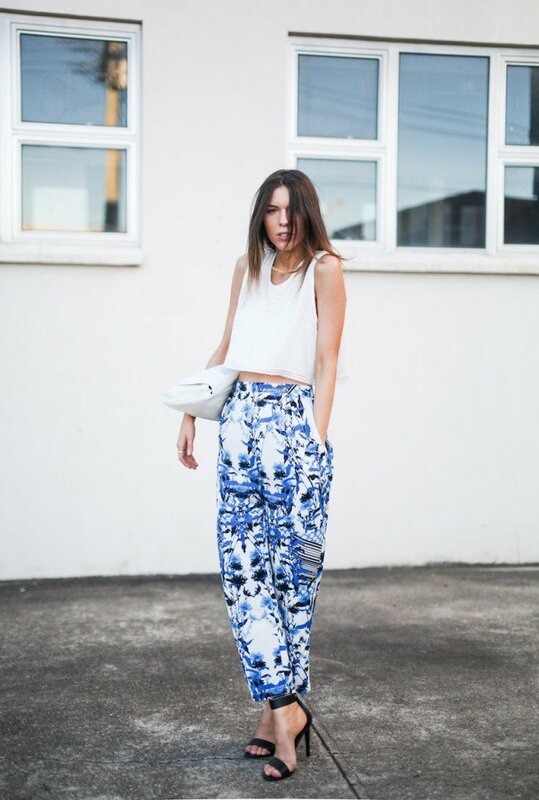 There are ladylike combinations, like wearing romantic high-neck top tucked in high-rise wide-leg pants. You can try grey colored tee and style it with midi-length skirt to create a sophisticated and modern look. The white tee can be combined with anything you want, starting from cut-offs to matching color cigarette pants and this summer must-have printed trousers. I think every lady should have at least two or three midi-length dresses in her closet, no matter if it's a color-blocking frock or floral print ensemble. The denim shirt is another great top to try this year. Try denim shirt paired with high-rise pants or make a double denim look by pairing your shirt with jeans. I think you already understand what I mean, don't wear boring outfits, go for inspiration and don't be afraid of experiments. All outfits are adorable. Which one is your favorite? Please comment!